"Together, we can make an impact!" I came to New England as a fresh graduate from grad school back in 2001, my eyes wide open. As a newcomer I immediately tried to reach out to local groups. For some reason, NECINA events were the first I noticed. That was using search engine AltaVista, I believe. The very first event I went, the very first person I met, outside Radisson Chelmsford, turned out to be Daryl Luk. Later on Daryl became NECINA president, twice. After the conference, I told myself, wow, what a great and professional event. I want to be part of this group. So I joined, as a NECINA member. Time flies, I became very busy with my job at Intel, working on some of the coolest projects I can ever imagine. I became a true professional, a hacker, a strategist. One that can handle ups and downs, extreme customer pressure situations, and always come out on top. I still tuned in to NECINA events. I even noticed some startup competitions that sound rather cool. But I was too busy with family duties that time and could not do it. The turning point was 2011. I went to a NECINA event again after a few years away from the action. I noticed some very interesting group of people. This time led by Mingsheng Hong. At that time, Mingsheng was Chief Data Scientist at Hadapt, which later got acquired by TeraData. Prior to that, Mingsheng was at Vertica, acquired by HP. I saw a group of people that were very hungry, very dedicated to data science and want to change the world with smart data point and independent intelligence. So I joined Mingsheng’s team and offered to help him with Startup Incubator - NEW program. From that point on I pretty much took it and ran with it. NECINA is supportive of my wild ideas. It was never done by a non-profit before. So we just invented our way. That was a nice success. We ended up incubating on average 10-12 companies a year. And about 3-4 each year will make it. That was a lot of fun to watch. It is such a joy to see NECINA members build their companies (NuVolta Technology - now at Series B; eShip, now in Hangzhou; TVision Insights, TechStar winner and Mass Challenge winner… and so on). Through NECINA, I also discovered my own true passion. Sometimes, when you are in the mix of daily grind and buried with deliverables, you lose track of what are truly important. When you are doing something completely unrelated, especially when nobody pays you a single penny for doing that, you tend to discover something important deeply inside. That happens to me time and time again, when I try to help other people through NECINA activities, often times I ended up being the one that gets helped the most. I know it is strange, but it is really true. NECINA is an amazingly giving community. It rewards its volunteers and members with tremendous opportunities. If you pay attention, you will see many of these in our newsletter, our LinkedIn, our WeChat channels. NECINA is a place you can showcase and contribute your talent to the benefit the community, and in return it will give you a lot more. Now, back to what we want to achieve 2016-17. Two words: Growth and Leadership. I want to see the organization continues to grow, both size and impact. We are always welcoming new members with any backgrounds and any nationalities, as long as they are interested in NECINA and getting involved with U.S.-China exchange. We are always welcoming volunteers that want to join to contribute, to lead, or to learn. From leadership point of view, I want NECINA members take on more and more leadership and become difference makers in the community. I truly believe we have a very special team in place and each one of them is ready to make a major contribution. Together, we can make an impact. I am an automotive engineer turned entrepreneur. About three years ago, my family moved to the Boston area. Since then, my experience with Boston has been the best part of my life, and being with NECINA is one of the major reasons for this. Let me share some personal experience with you: I did not study or work in Boston area, however, I was able to make new friends, and by participating in NEClNA’s events it helped make Boston my new home. I fine-tuned my startup ideas with NEClNA’s Social Local Mobile Tech Conference, and learned Android programming with NEClNA’s E-Lab. Later, I put my startup company through NEClNA’s NEW Program. This accelerated my progress by allowing me to gain access to top notch investors, NECINA partner resources such as IBM, universities, and befriend NECINA members. I was told that “you will grow with NECINA”. Three years ago, I never thought I would be the president of such a great organization. I still remember my voice was trembling when I first led the NECINA E-Club meeting two years ago. Now, when I speak in front of hundreds of NECINA members, I cannot stop myself. I also sent my son to NEClNA’s youth entrepreneur program – YES Program consecutively for two years. I am sure he learned a ton and I would recommend it to any high school students. Enough being said about my experience as a NECINA home grown president; it is my tum to pay back by doing my best to serve the community. This is an honor as well as a challenge for me to carry on the torch. 2016 will mark NEClNA’s 20th anniversary. Over the years, NECINA has evolved with the advancement of technology. Our members are ever diversified in various sectors of information technology and business. We will make 2015-2016 the year of operational excellence. As one of the most influential Chinese-American organizations in New England area, we will continue to work with our sponsors and partners to deliver the best value possible to our member base. We will measure our performance by the value we bring to you. How do we do it? We need you tell us what you would like to see, and we will make it available to you more effectively than you can get from other resources. We appreciate your suggestions and help. Operational excellence can only be achieved by having a strong, passionate and capable team. Team building will be another emphasis of ours. Please spread the word and invite friends to join NECINA as members or volunteers. The purpose of NECINA and all of our efforts are to maximize the value we can deliver to our members – you. Let’s work together to make NECINA a better and stronger community! Cheng Wu Honorary Chairman / Founder and Chairman of the Board of Acopia Networks. Mr. Wu also held various executive positions at Cisco including VP of Strategy and Group VP and General Manager for Cisco’s Content and Multiservice Edge Group. Mr. Wu joined Cisco in June 2000 through Cisco’s $5.7B acquisition of ArrowPoint Communications where he was the Founder, Chairman of the Board, and CEO. Before ArrowPoint, he co-founded Arris Networks, a Massachusetts based company that developed high-density Internet access products. Seven months later Arris was sold to Cascade Communications for $150M. The highlight of his 20-year career was being named to InteractiveWeek magazine’s “Top 25 Unsung Heroes of the Internet” list in 2000. His better half is Shalin Wu. Boards and Achievements: Key Industry Player award by Massachusetts Telecom Council in 2002; Second largest corporate merger in Massachusetts history; Board member: Massachusetts Telecom Council, Data Power Corporation – www.datapower.com, and Ammasso – www.ammasso.com. Chairman of the Board: Acopia Networks – www.acopia.com. Honorary Chairman of the Board: NECINA. Mr. Chen is an established entrepreneur and investor. He has started more than a dozen companies and is the co-founder of many successful entrepreneurial ventures. He is perhaps best known as co-founder and VP of Engineering of Cascade Communications, where he was instrumental in building the company. Cascade went public in 1994 with market cap reached $10B. Mr. Chen also co-founded and acted as chairman and CEO of Cameo Communications (IPO in Taiwan), GaoHong (IPO in China), Xinwei Telecom (IPO in China, market capitalization near USD 30B), Arris Networks (acquired by Cascade), Ardent Communications, Navini Networks (acquired by Cisco) and Shasta Networks (acquired by Nortel). He was also previously Vice President of Technologies at Cisco Systems. The industry has recognized Mr. Chen’s operational and entrepreneurial excellence with numerous awards; such as quoted as “The Germinator” on the front page of the Wall Street Journal, the top ten entrepreneurs of 2000 by Red Herring magazine, Life Time achievement award by Optix, and Heavy Weights in Optical Networks by Light Reading. Mr. Chen is also an established investor as co-founder of Acorn Campus, Genesis Campus, & iD SoftCapital. Forbes Magazine ranked him as one of the top 100 venture investors in the U.S in 2002. Mr. Chen has a proven track record in identifying key niches, commercializing new technologies, attracting experienced management teams, securing key customers, accessing financing, and executing successful exits. He has early access to a proprietary deal flow based on his long-standing and established industry relationships and reputation. Mr. Chen is a Partner of the Dragon Investment Fund, recently co-founded with Mr. Stan Shih, Chairman and founder of the Acer Group. Dragon Investment aims to become the leading technologies transfer facilitator, business accelerator and funding source in Taiwan by leveraging its world-class expertise in management, market vision, and technologies. 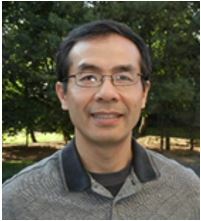 Mr. Chen enrolled in CS Ph.D. program at UC Berkeley, received MSEE from the University of Florida at Gainesville, and a BSEE degree from National Taiwan University. 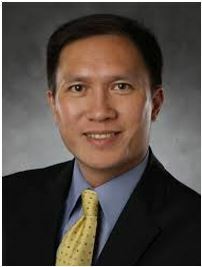 Robert Yung Chairman/Vice President of Corporate Development and Chief Strategy Officer for Analog Devices Inc.
Robert Yung, Ph.D. is Vice President of Corporate Development and Chief Strategy Officer for Analog Devices. In this position, Dr. Yung plays a key role in widening the reach of ADI’s existing technology, exploring new areas of signal processing technology, and uncovering new markets and applications where the Company can apply these technologies to accelerate its overall growth rate. 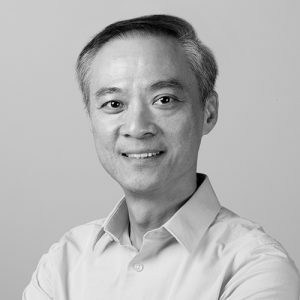 Dr. Yung has an extensive background in technology and emerging market development, having served as the chief technology officer (CTO) of Tessera Technologies and of PMC Sierra. Prior to this, he was CTO for Intel in China, the Intel Communication Group, and the Intel Enterprise Processor Group. 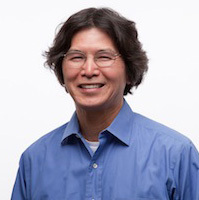 Dr. Yung has also served as CTO for Sun Microsystems and was a lead architect in Sun’s UltraSPARC microprocessor program. He was a co-founder and partner of GSR Ventures, which specializes in providing equity funding of early-stage technology in semiconductors, wireless, and Internet services. Dr. Yung was named to the National Committee on United States-China Relations as a Fellow during the inaugural Young Leader Forum in 2002. In 2000, he was named to the World Economic Forum’s “Top 100 Global Leaders for Tomorrow,” in Davos, Switzerland. Dr. Yung earned Ph.D., MS, and BA degrees in Electrical Engineering from the University of California at Berkeley. 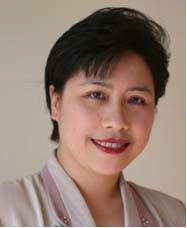 Jenny (Junyao) Chen, one of NECINA founding members, joined NECINA since March of 1996. Jenny is one of senior members who has participated NECINA founding team building, working with team to carried NECINA torch, follow NECINA Missions, inherited NECINA traditions and spirit so far. Jenny became NECINA General Manager since 1998 for 8 years until 2006. In 2000, Jenny had been voted as a board director into NECINA Board meeting, and had been re-elected until present. From June 2010 to May 2011, Jenny was elected as NECINA 15th President by NECINA Board meeting. In Aug 1989, Jenny had received Fellowship from United Nations, become a visiting scholar studied at Wang Laboratories, MASS. Later on, she starts her industry career in the US Boston Area at several telecommunication companies including Cabletron Systems, Cascade Communication, Lucent Technologies, Siemens Networking Converged, Dialogic Research Inc. Now she is serving at Aspect Software. Jenny received a BS degree in Computer Engineering from the Beijing University of Aeronautics & Astronautics, a MS degree in Computer Science from Rivier University NH, and a MS. Certificate of the Applied Project Management from Boston University. Founder, Chief Executive Officer and Chairman at NetBrain. Lingping Gao founded NetBrain Technologies in 2004 with a mission to simplify network management. Prior to founding NetBrain, Mr. Gao was the Chief Network Architect at Thomson Financial, where he managed the complexities of large enterprise networks and experienced the challenges of maintaining network performance. Mr. Gao has experience within multiple areas of business, including management, engineering and international business within the networking, software and automotive industries. Mr. Gao holds a BS and a BA in Automotive Engineering from Tsinghua University and an MS in Engineering from Yale University. 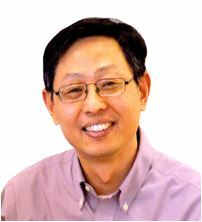 Daryl Luk is Director of Technology Development of ConcentricABM, a software provider for predictive marketing analytics solution. Prior to that, Daryl was Software Engineering Manager in SensAble Technologies that offers 3D free-form modeling solutions to various industries. He was responsible for product development, release management, process improvement, as well as 3rd party software integration. Before that, he was Director of Applications Development in PTC (www.ptc.com), formally known as Parametric Technology Corp, one of the largest software companies in Massachusetts, USA. 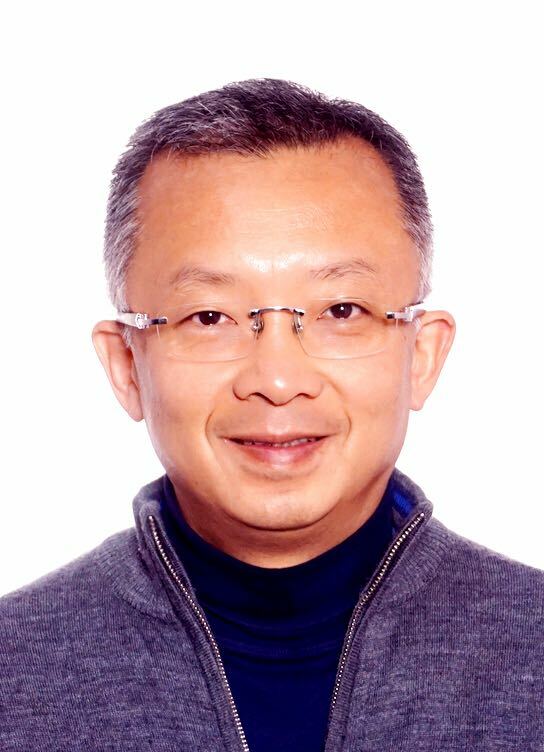 With more than 18 years of enterprise and engineering software development and management experiences, Daryl had been in charge of building new development team in Shanghai, managed 7 new commercial software products development in PTC‘s product family that generates US$1B in annual revenue. Daryl came from Hong Kong, holds a Mechanical Engineering Bachelor‘s degree from Taiwan National Chung Kung University and a Ph. D. in Mechanical Engineering from West Virginia University focused on Robotics and Artificial Intelligence. Daryl has published several robotics technical papers in international journals. Daryl is a board member of NECINA. He was also the organization’s President in 2009-2010 and 2005-2006. Prior to that, he served as Vice President in 2004-2005 and the chair of both NECINA eBusiness Special Interest Group and RFID Action Group. In 2006, Daryl was appointed by the Massachusetts Governor Mitt Romney to be a member of the Massachusetts Asian American Commission to advise the Governor on matters related to Asian American affairs. Currently, Daryl serves as a member in the Asian American Commission‘s Economic Development Committee and advisory member for startup MandarinGlobe. Chi Kong Shue Chairman and President of SDSC Global Foundation and CentriHall, Inc. He has also been involved in the hi-tech venture and private equity investments in Taiwan, China and U.S. since 2002. He had been the Executive Vice President at Sycamore Networks (1998-2003) responsible for the R&D of intelligent optical transport & switching systems and Asia market development. Prior to Sycamore, he was the VP at Ascend Communications and a Co-Founder of Cascade, and the Vice President of Engineering. Both Sycamore and Cascade had very successful IPO’s (SCMR and CSCC on NASDAQ) in 1999 and 1994 respectively. Mr. Shue had served at Open Software Foundation and Wang Laboratories, Inc. from 1978 to 1989. Mr. Shue was born in Taiwan. He received a B.S.E.E. from ChiaoTung University in Taiwan in 1974, and an MS Degrees in both Computer Sciences and Operations Research from the Pennsylvania State University in 1978. He also studied in Sloan Graduate School of Management at M.I.T. in 1979. Mr. Shue received the Asian-American Achievement Award from the University of Massachusetts in 1998 for his contributions to the economic and social development of the Commonwealth of Massachusetts. He served as the President of NECINA in 2000 and as a Board Director since 1998. Mr. Shue currently holds three U.S. data communication patents and is a member of IEEE and OSA. Ben Tao is currently Corporate Development Senior Director at PTC. In that role, he works closely with Corporate and Segment business leadership teams in formulating acquisition strategies. He worked on a significant number of M&A transactions, especially in the field of Internet of Things, helping transform PTC’s business. Prior to PTC, he worked as a management consultant for six years, advising clients on a broad range of strategic and management challenges across multiple industries such as high tech, retail, chemical, and private equity. Before starting his career as a management consultant, he worked as a technologist for several leading technology companies including Oracle, Microsoft, and Ericsson. Ben served as NECINA’s president during the 2014-2015 operating year. Ben received a BS degree in Computer Sciences from Beijing University and an MS degree in Computer Sciences from the University of Wisconsin at Madison. He also holds an MBA degree from Babson College. Alex Wang is a cross-border serial entrepreneur and senior executive with rich and ground level experience in the US, Asia Pacific (particularly China), and Europe. He is currently serving as the General Manager for edX China, driving adoption of the global MOOC platform in the Greater China region.BS in Applied Mechanics from Fudan University, Ph.D. in Engineering Mechanics from Virginia Tech where he won the Paul E Torgersen Best Ph.D. Dissertation Award, an MBA from the MIT Sloan School of Management where he received the Alumni Leadership Award. In his early engineering days, Alex was named by the National Academy of Engineering (NAE) to the list of 100 outstanding young engineers. Prior to edX, Alex was the founder and CEO of an innovative eLearning company that developed the world’s first immersive virtual world for English learning. He led the company to form strategic partnerships with major Chinese publishers and launched a series of mobile apps that covered over 30 million Chinese students. Prior to his eLearning venture, Alex was a founding team member and Vice President of Business Development at a leading Internet-based Enterprise Supply and Contract Management software company based in the Boston area (acquired by IBM). Alex was responsible for global channel sales (covering North America, Europe and Asia Pacific), accounting for one-third of the company’s total revenue. Alex also played a key role in several acquisitions. Alex also held various sales, marketing, consulting, and project management positions at Lucent Technologies, the Boston Consulting Group (BCG), and the Goodyear Tire and Rubber Company. Alex received BS in Applied Mechanics from Fudan University (Shanghai, China), Ph.D. in Engineering Mechanics from Virginia Tech where he won the Paul E Torgersen Best Ph.D. Dissertation Award, and MBA from the MIT Sloan School of Management where he received the Alumni Leadership Award. Passionate about education, Alex serves as the first Professor of Practice at the School of Management at Fudan University where he teaches MBA courses on cross-border innovation and entrepreneurship in his spare time. John Wang is an automotive product design expert and entrepreneur. He has diverse experience in engineering as well as business management. Since 2008, John has started several companies. He founded Dreamech developing connected car product/service for car owner and service providers. He was the co-founder/CTO of Wiselink Technology, where he built a team of 30 engineers and technicians developing pioneered telematics product in China for customers including China Mobile, Volkswagen China Joint Venture. Before 2008, John worked for General Motors and Johnson Controls, and his designs and patents have been widely applied to GM, Ford and Chrysler automobiles. Recently, John joined a startup company developing cutting-edge products for high-end and autonomous vehicles. John also served as 2015-2016 President of NECINA and has been a NECINA board member since 2016. His education includes MBA (Michigan), MSME and BSME. Ru Zheng is a natural relationship builder and enjoys bringing out the best of others. As a certified Dale Carnegie Trainer with over 10 years of training experience, she is passionate about communication and leadership training, team building and executive coaching. As a Sr. Business Intelligence Manager in a Global Fortune 500 company, Thermo Fisher Scientific, Corporation, Ru oversees a global sales analytics team for the company’s Lab Product Group, a 1.6 billion dollar division. She has over twenty years of business leadership experience in various functions, including Supply Chain strategic sourcing, Supplier management, Process Improvement, Financial Strategic Planning and Analysis, ERP deployment, Sales Operation, Strategic Pricing, and Client Relation Management and Researching, Team Building and Organization Development and Sales Training. 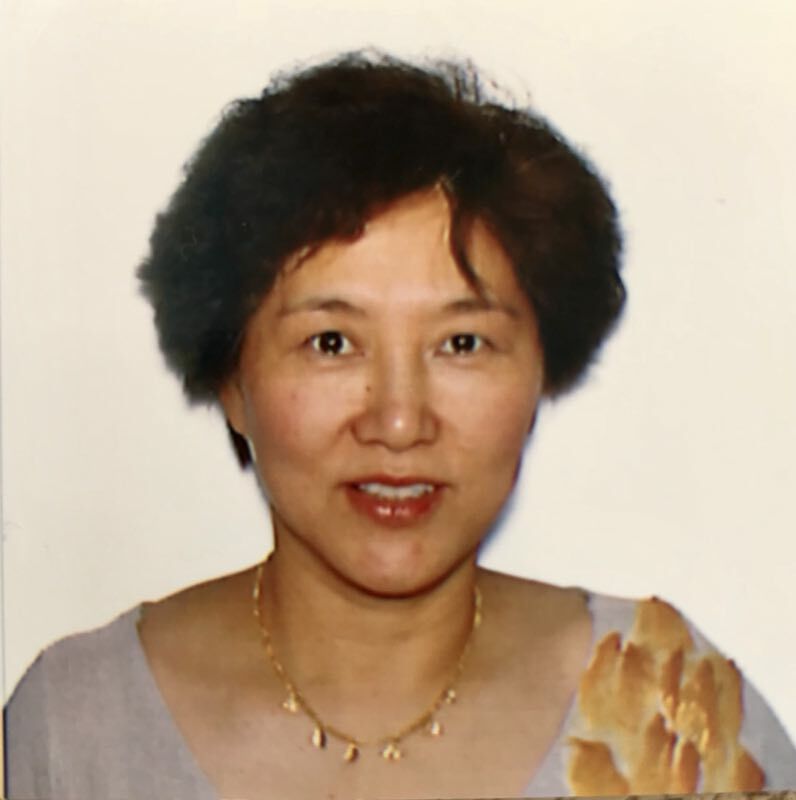 She has been serving in the leadership team of New England Chinese Information and Networking Association (NECINA) since 2006, with progressing roles as PR officer, Fundraising Chairperson, General Manager, President and now a member in the Board. She is also the Chair of the mentor network in NECINA. With education and a working background in both China and US, Ru has in-depth knowledge and can bridge the two cultures with effective communications beyond pure language translation. Early in her career, Ru worked as Supply Chain Project manager in the Guangdong Machinery Import and Export Corporation for two years, she then came to US to get her MBA. After getting her MBA, she has worked in the financial industry, consultant industry, and spent most of her career in medical devices industry: from global strategic sourcing to supply chain strategy deployment, from financial planning and analysis to strategic pricing performance evaluation and sales data warehouse management. She was founding member and advisors of several startups. Her business acumen and leadership skills make her an effective coach for many professionals and entrepreneurs, both in China and US. Ru earned her B.A, majoring in International Business Study from Guangzhou Foreign Language Institute, and her MBA with Global Financial Analysis concentration from Bentley University, graduated with Distinction.